The LSAT or Law School Admission Test is a requirement to nearly all-American Bar Association (ABA) approved law schools. This is part of their admission file. The purpose of this test is to calculate the knowledge and skills that are necessary to obtain a law degree. The main topics covered are analytical reasoning, logical reasoning, and reading comprehension. For the purpose of this article, we will focus on the logical reasoning sections. Anyone who is applying to an ABA approved law school can register to take the test. This can be done online through LSAC.org or by phone. If you have participated in such activities prior to your test, you must notify LSAC. They may choose to reschedule your test if they feel it is necessary. When you register to take the LSAT you will be charged a fee of $190. If you choose to, you can also purchase the use of CAS or Credential Assembly Service for $195. This enables you to send all your transcripts, letters of recommendations, and anything else needed to apply to law schools to LSAC. LSAC will then order them and send them as appropriate to each law school you are applying to. having it reported to law schools without the use of CAS. Where And When Is It Taken? The LSAT is registered for online through LSAC. Here you will create an account and then be able to pick from one of a few testing dates. Make sure to complete your registration before your registration deadline. These deadlines will not be extended. Tests can be taken at many locations throughout the U.S., Caribbean, and Canada, as well as some sites overseas. Anything else is not allowed on your person or desk during the test. This includes all electronic devices, calculators, and any testing or study materials such as scratch paper. The test consists of five 35-minute sections. All questions are multiple choice. The topics covered are: reading comprehension, analytical reasoning, and logical reasoning. The other multiple-choice section is not used to calculate your score; yet, it is necessary to complete. The placement of this section varies upon each test and is not identified as an unscored section until you are given your scores. There is a 15-minute break after the third section of the test. At the end of the test, you will need to complete a 35-minute writing sample. This is unscored; however, it is sent to all law school that you are applying to. Your test scores are emailed to you through your LSAC account as soon as they are available. What Does Logical Reasoning Cover? These mirror legal reasoning both in their complexity, as well as the types of arguments. The following questions will test your ability to evaluate, analyze and complete these arguments. These skills are essential to law and legal analysis as a law student. You will need to identify parts of arguments, deciding what is most important and how any evidence presented in the future may affect it. You will need to be able to use arguments as a persuasion tool and to resolve contrasting positions. You will not be expected to have prior knowledge of certain terminology or the topics in the presented passages. Your job will be to understand and evaluate the reasoning found in them. 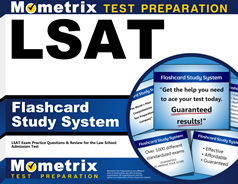 Mometrix is here for all your LSAT preparation needs. We offer an on-point LSAT study guide and set of LSAT flashcards to guide you through the content of this test and its sections with ease. They have sample questions giving precise examples of what the test will look and sound like. Theses give you the closest experience to the actual test you can get without the stress of test day. Make sure to get your hands on both of these preparation tools for your best testing experience yet. Mometrix Academy is a completely free LSAT test resource provided by Mometrix Test Preparation. 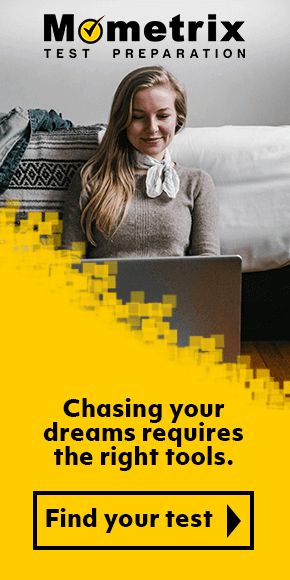 If you find benefit from our efforts here, check out our premium quality LSAT Study Guide and LSAT Flash Cards to take your studying to the next level. 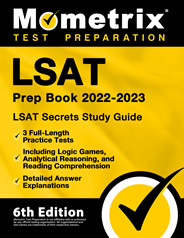 Just click the LSAT study guide link below. 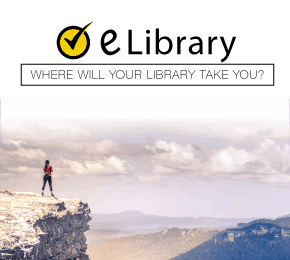 Your purchase also helps us make even more great, free test content for test-takers.